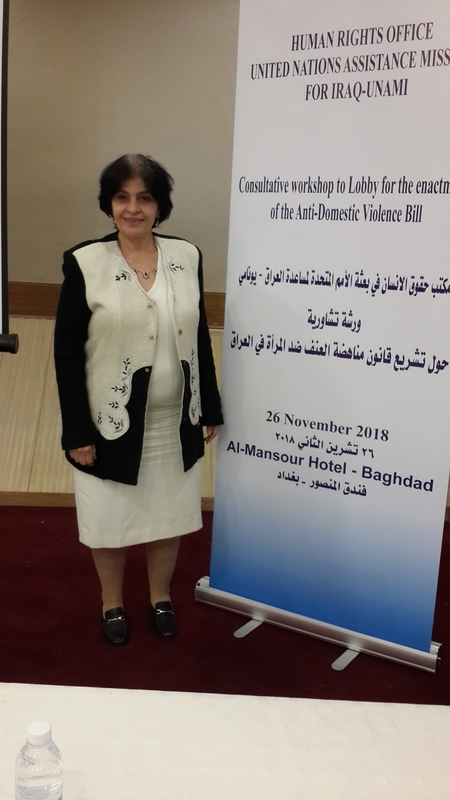 Originally trained as a pediatric specialist, Maha Alsakban founded Coalition member Women’s Human Rights Centre in 2003. 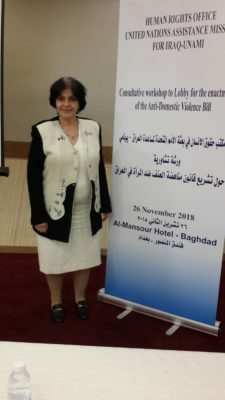 Based in Diwaniya, in south central Iraq, WHRC works to equip women with the skills and connections they need to be leaders in Iraq’s transition from dictatorship to democracy. 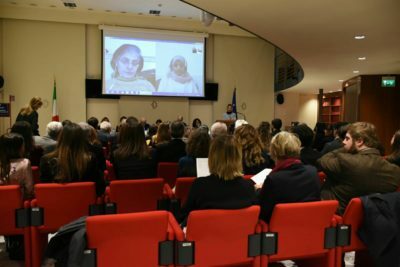 Here she speaks with the Coalition about her own journey to activism, the challenges of being a female activist in Iraq, and why incorporating women into transitional political processes is essential for lasting peace. Why is it important to have women involved in peace-building? Because women are so often the ones that keep memories alive, it is in the hands of women to bring peace or to let it go… It takes great courage to face the facts, to say “This happened and it was wrong.” Women have to take their rights; they have to believe they are equal and have an equal right to participate in making peace. Rebuilding the peace involves digging into the past that has caused us pain. We can’t build a future on ruins, without settling the disputes of the past, without clarifying things. Everyone, men and women, must feel their concerns have been addressed. As guardians of memory, women have a central role to play. And justice doesn’t mean that you take revenge. Justice means that you reconcile with your own self, with your own surroundings and that you have been compensated under law for your pain, and that people recognize your sacrifices. A person gains self-respect this way. You have to be true to yourself. That is especially true if women are to truly lead peace-building. Can you speak more about the challenges women activists in the MENA region face? Women activists who are not under the umbrella of the government can have a very hard time. It’s important to understand that there are many challenges facing women in the region before they can ever think of becoming active in their communities. Illiteracy, poverty, religion, tradition, culture to name a few. How do we combat violence against women when religion is being used to justify it? Lack of education plays a role too. Girls must be educated, but trafficking, drugs in the school system, at least in Iraq, is a real threat to them. Schools are in many cases very dangerous sites. These are powerful forces and concrete obstacles to women’s advancement in the region. What might a safe space for women to discuss these issues look like? It is easier if there are woman to woman platforms. In mixed groups, women tend to be more hesitant to talk. They are often afraid. It is important to understand that women activists are treated differently than men. They are not given as much justice as [men]. But they are often scared to talk about how they’ve been treated. Some of my own colleagues have died, or have had their lives or their families’ lives threatened. It can be intimidating to break through this. There is a lot of work to be done. How do you work under these conditions? How do inspire the next generation of women leaders when there are so many challenges? Future women leaders need models. And that model might be a mother, sister, community leader. The new generation learns from the old, but unfortunately the older generation was generally too submissive and they often pass that on to their girls. So we activists – despite all the challenges – have to correct that situation and take the lead. We have to show the younger generation that we are competent and we are equal to men. We are the ones who give life to men. We need to remind them of that. We have to remind them of our equality and have to work parallel to them, alongside them. Sometimes it just takes that one person to start people talking. I sometimes try to focus on one abuse and slowly break the taboo around talking about it. And then slowly another NGO will stand up and start speaking about it. It often happens like that. Do you have a woman who inspired you? I was a very shy and introverted teenager and young adult. I did not have the confidence to speak. I was afraid that if I spoke my colleagues would laugh at me. But I had a Professor of Physiology at a school I attended in Pakistan. She called me and she sat with me. She really pinpointed my problem. She said, “I will make an agreement with you. I will tell you my lecture ahead of time and also what I’m going to ask you. You think about it and during the tutorial, you have to promise me you’ll answer. Forget about everyone around you. They will not laugh, because they are learning too. You are quite intelligent and you love medicine – so you have no problem. You just have to talk.” I promised her I would, but initially I could not. But she kept encouraging me in this way, and eventually I did. Being out of Iraq and in Pakistan helped, I think. You need new surroundings sometimes. I eventually gained confidence and got high marks and starting taking initiative for myself. I graduated with high merits and I started encouraging others in the same way. The teacher and I stayed friends until her death two years ago – well over thirty years. She affected everyone around her with attitude and generosity of spirit, and still does with her memory.